Kate Middleton news today: The Duchess's classic shopping mistake. Kate Middleton's shopping mistake is one all parents have made at some point. Just because the Duchess of Cambridge has access to an army on nannies, doesn’t mean she’s going to miss out on one of the most common back-to-school rituals: buying school shoes. Kate Middleton was spotted out shopping with Princess Charlotte, three, and five-year-old Prince George by a fellow shopper at department store Peter Jones in London a few weeks ago. The source told Hello! magazine that while shopping for school shoes for the kids, the 36-year-old made a rookie error, but one that many parents will relate to. The little prince and princess, who were wearing sandals at the time, had to borrow socks from the store. Prince George on his way to school on his first day last year. Image: Getty. Charlotte will be wearing her brand new shoes when she goes back to Willocks Nursery School on Wednesday. Meanwhile, George is entering his second year at Thomas&apos;s Battersea. 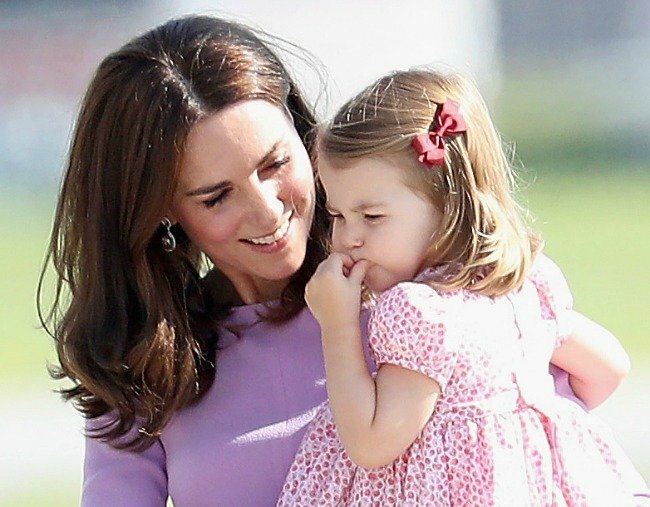 Kate missed out on dropping George off at his first day of school because she was suffering extreme morning sickness while pregnant with her son Prince Louis, now four months old. But she&apos;s since reportedly become a regular at the school gate.